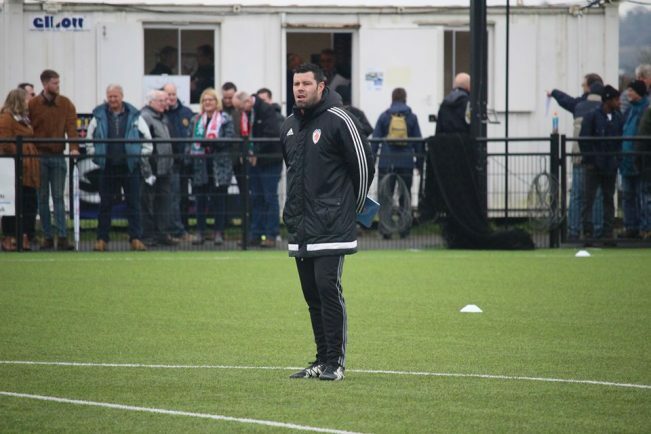 BOSS Brendan Kelly could not fault the commitment of his Bromsgrove Sporting players after a couple of them vowed to fight for their places, despite being told they were not part of his immediate plans. Kelly has been trying to whittle down his squad to a maximum of 20 players ahead of the big Southern League Division One Central kick-off next Saturday, August 18, when the Rouslers make the trip to AFC Dunstable. Throughout pre-season, the Sporting manager has handed an equal amount of minutes to all of his players so they could stake a claim for the shirt. So far Jamie Clarke, Guy Clark, Tory Herbert, Harry Harris, Omar Haughton, Danny Campbell and Halal Albaarini have been released, Sean Brain took up on offer to join Evesham United while Tom Massey will be loaned out to gain more first team experience. Kelly confirmed he sat down with some more of his players – whose names he withheld – to tell them they were not part of his immediate plans. However, those individuals have took it upon themselves to fight for a place in the matchday squad. “I cannot knock them at all because it just shows that they want to play for this club,” said Kelly. “Fair play to those lads who are going to bide their time and wait for their chance. “They are happy to fight for their places which is good to see. Kelly added he was pleased with competition for places among the squad but did confirm he had plans to look for another striker. Ryan Nesbitt, who was top goal-scorer with Boldmere St Michaels last season after bagging 29 goals in 41 appearances, played in the 3-0 friendly loss to Rushall Olympic on Tuesday night. Defeat to Rushall followed last Saturday’s 3-1 reverse to Stourbridge. No deal has been offered to Nesbitt but he is expected to feature against Evesham in the final friendly at the Victoria Ground tomorrow (Saturday). “Ryan was a little frustrated on Tuesday because he did not see much of the ball but that’s because Rushall penned us in,” said Kelly. “Richard Gregory is the type of striker who needs someone up there with him and so far we have not found the right remedy.